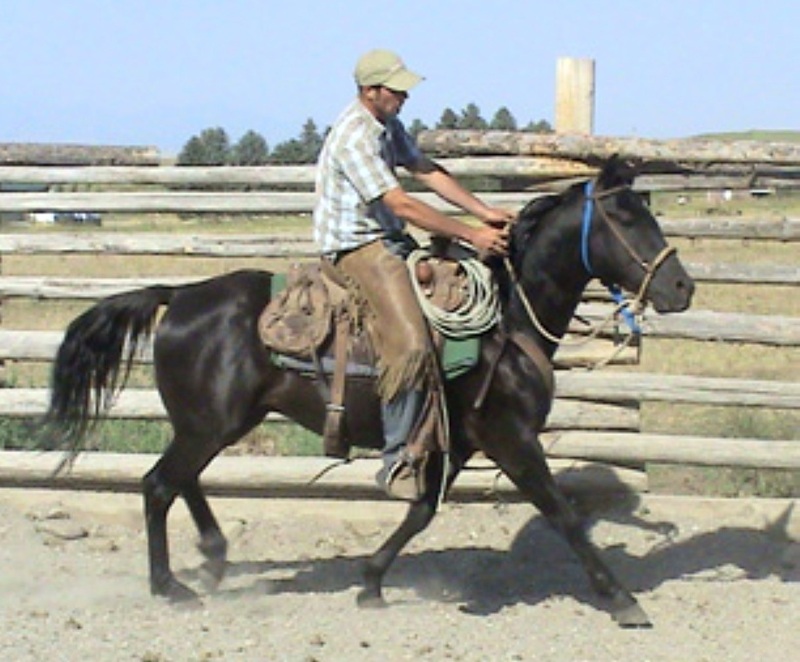 Montana Travler horses were developed in the US state of Montana and are a relatively new saddle horse breed. In the 1930s, Montanan Tom Eaton began combining the bloodlines of Tennessee Walking, Morgan, American Saddlebred, Thoroughbred, and Hamiltonian horses in a search for "the perfect horse." By the early 1970s, his breeding resulted in an eye-catching, ground-covering chestnut stallion. The stallion, named Montana Travler, walked at a brisk eight miles per hour, with a giant eight-inch-plus overstep. He trained easily, and, when bred, sired offspring of exceptional quality. This success motivated Eaton to found the Montana Travler Horse Association in 1979, writing, "Justin Morgan established a breed from one outstanding stallion. The Montana Travler is the result of not only a great stallion, but selective breeding over a period of many years." Montana Travlers have a great heart depth, stamina, an excellent topline, sound conformation, strong feet, and a willing temperament. Travlers are narrow, but deep-chested, which enhances endurance. Because they were bred to travel mountain trails, pack, and cut and work cattle, they are surefooted and brave.